A year after Apple first announced it, you can finally buy products based on HomeKit. Lutron and Insteon have products available now, while others like Elgato, Ecobee and iHome are bringing accessories soon. That means you'll be be able to build a HomeKit system with programmable lights, plugs, energy and climate sensors, thermostats and more. Apple introduced HomeKit standard to allow such devices to play nicely together, and of course, let you control everything via your iPhone, iPad or Watch. The idea was to also bring voice control to home automation via Siri. Here's what's available now. 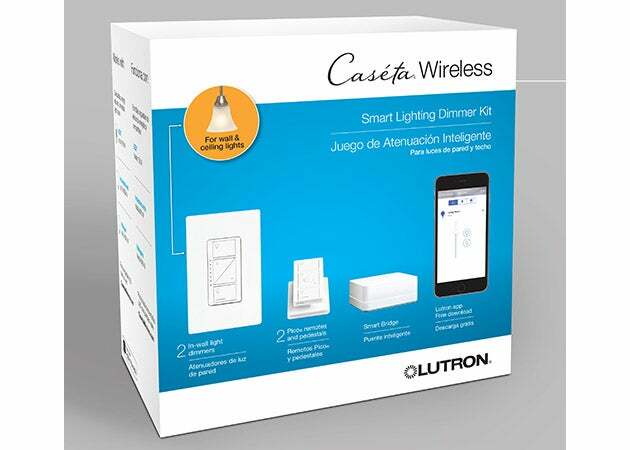 Lutron's Caséta Wireless Smart Bridge will let you control lights, shades and other devices in specific rooms by barking commands at Siri, using your Watch, or via an iPhone or iPad. You can also remotely control devices when you're away from home, or set up geofencing so that the lights flick on when you enter a room. The Wireless Lighting Starter Kit is available today for $230, and you can add remote dimmer kits for $60. Insteon is offering a bit broader solution with a full-on smart home hub that can control its current family of products (pricing is yet to come). Those include cameras, alarms, smart bulbs and other products working across WiFi and RF home standards. 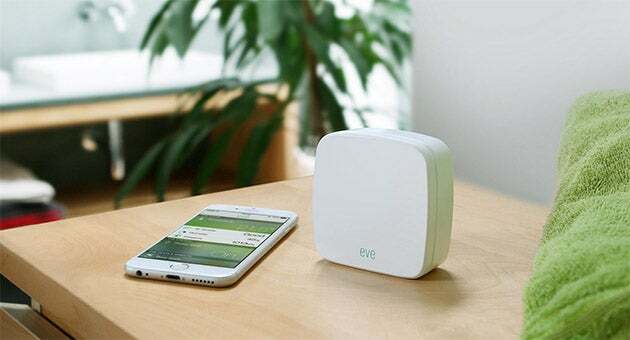 As for products coming soon, Elgato, is bringing Eve sensors (above) that detect temperature, humidity, energy use, motion and even air quality. 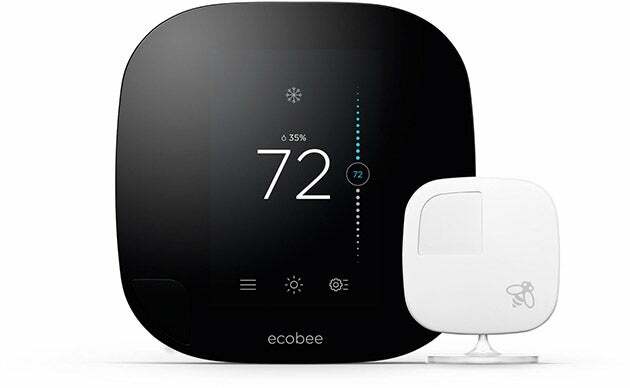 If you're looking for a smart thermostat, Ecobee will cover you with its $249 Ecobee3 model that's coming in July (below). It'll regulate temperature on its own or give you room-by-room control with satellite sensors. Finally, iHome revealed a $40 HomeKit-compatible SmartPlug you'll be able to pre-order on June 15th, giving you control over lamps, fans and other gadgets. It's a modest start, considering how long it's been since Apple first revealed HomeKit. And new as the products are, it remains to be seen if everything will work as smoothly as promised -- naturally, we're as keen to try them out as you are. Hopefully, we'll hear more news soon (and possibly see more products), as it's rumored that Apple will be revealing more HomeKit information during its WWDC developer's conference next week.